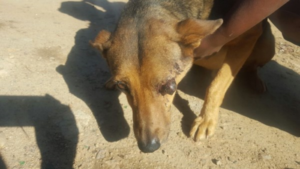 Recently, we found this poor dog from Diepsloot Township that was hit by a car several days before! 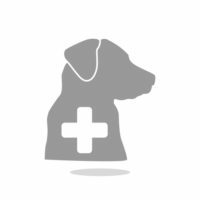 We rushed her to our vet, who told us that he could have saved the eye if the dog was brought in the same day of the accident. Unfortunately our vet, Dr. G Craig had to remove her eye, but fortunately she is recovering very well. We are in DESPERATE need of funds to cover her medical bills! Please help us by making a kind donation and please use the share link to share this with all your friends and family? Our vehicles go out as far as Germiston, Alberton, Brits, etc and as a result need constant maintenance. We have just had the one vehicle repaired for almost R7000 and now we got a quote for more or less the same amount to repair the other vehicle. PLEASE help us to keep our vehicles on the road, so that we can continue to save many more animal! 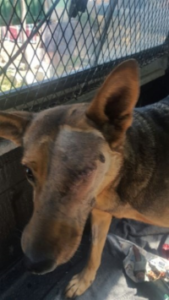 Please visit our Donations page for more information on how you can assist us to take care of this brave girl.